MetalRockNews: Belphegor forced to cancel Russian tour due to "heavy opposition and censorship"
Belphegor forced to cancel Russian tour due to "heavy opposition and censorship"
Belphegor canceled their Russian tour due to heavy opposition and censorship. 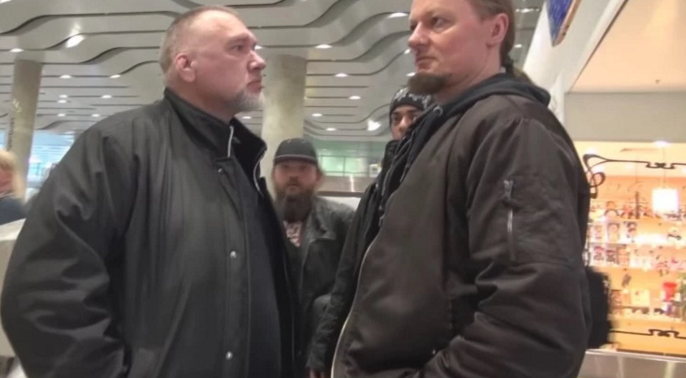 The following statement was issued on the matter, which also finds frontman Helmuth commenting on an attempted assault by a Christian extremist as the band arrived at the airport. The band said in a statement: "After a great tour kickoff in Minsk, Belarus [18th April], BELPHEGOR dealt with heavy opposition and censorship within Russia resulting in three shows being cancelled. We apologize to Russian supporters. The troop tried everything to secure the shows. The St. Petersburg concert was canceled just a few hours before BELPHEGOR was scheduled to enter the stage on the 19th of April. We arrived in Moscow hoping for the best on the 20th. We were ordered to remove the already hanging backdrop, then told that stage props such as sculptures and crosses were forbidden, and Helmuth was not allowed to do vocals for the track "Lucifer Incestus". During the second track, the sound engineer had been forced to mute the vocals for the rest of the show because of our lyrical content. We were outraged by the entire experience. Afterward, we were informed that we would be unable to play in Ekaterinburg [21st April] and Krasnodar [23rd April]." Helmuth adds: "We've toured Russia three times since 2006 and always had amazing experiences. We've ignored all protests including death threats during the past few weeks. I was aware many black and death metal bands were having trouble recently, but we still marched in. To people who think they know everything: When that waste of oxygen approached us at the airport on the 19th, he had a hand in his pocket. I expected him to have a weapon. If I had hit him, I would have been thrown in jail, and he would have ended up in the hospital. That was their plan; he had that other degenerate filming the entire thing. Special thanks to brother Mr. Karl Sanders, who had the courage to block him as he continued to harass me. I'm a musician, not a fighter, especially in Russia. I've survived Typhus and have already been dead for six hours, hanging on only by machines followed by open-heart surgery. I do not fear anyone other than myself. No excuses to anyone!! End of story. It is of the utmost importance that artists have freedom of expression. Throughout history religions and governments have and continue to censor creative works all around the world. Thank you very much to all metalheads who loyally stand behind us and fight against oppressors and hypocritical moralizers. Russian supporters, be prepared!! BELPHEGOR are unstoppable and will return."